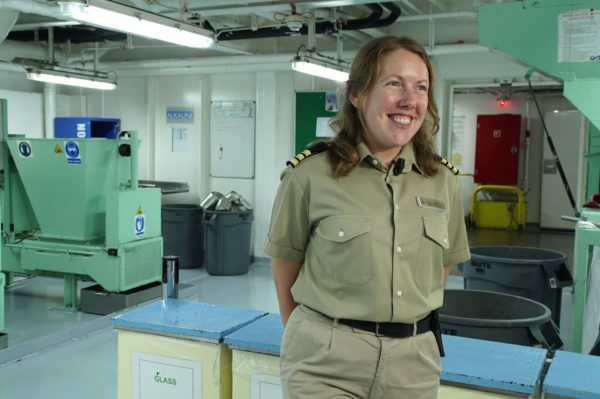 At P&O Cruises and Cunard, we are all committed to environmental compliance and we are looking for driven Environmental Officers to help us continue this. You will play an important role in our commitment to environmental legislation, protective and preventative measures and the education of our people. This is an exciting opportunity that allows you to work with a passionate community of people while visiting different places, explore new worlds and gain experiences that stay with you for a lifetime. With safety and compliance at the heart of what we do, you will lead by example ensuring all departments are aware of their Environmental responsibilities, effectively dealing with areas of concern and carefully managing the environmental impacts of all tasks under your leadership. You’ll also plan, carry out, monitor and review both protective and preventative measures such as inoperative or ineffective pollution prevention and waste handing. By educating on environmental legislation you will share your knowledge, helping others to put this into practice. We are looking for people with an Environmental degree or higher or Licensed Engineer holding a Class Two certificate of competency. You will have management experience and good leadership skills with a proactive and positive approach to protecting the environment. Experience of waste minimization/waste management, risk assessments and environmental audits will help you be a success in this role. Initiative is important to this role as you will need to quickly understand what needs to be done and anticipate what’s needed as you work with integrity and strive for high standards. If you have the qualifications and experience we are looking for, why not further your career with a role at sea? We will make sure you have a full training induction, support & guidance to help make you a success in a new role onboard. If you are successful in being offered a role we will ask that you complete your STCW Basic Training to ensure you are well prepared for you new role at sea. Our teams will be able to support you in arranging training and explaining what’s needed. ‘Better together’ is one of Carnival UK’s core values. This means we are working hard to build a flexible and inclusive culture. As part of our culture difference is valued and our people can be themselves. We welcome applications from everyone because inclusivity is at the heart of everything we do. We do not discriminate on the basis of age, disability, gender, race, religion or belief, sexual orientation, marriage & civil partnership and pregnancy & maternity. It takes great passion and real dedication to maintain our position at the top. That’s why people are at the heart of our journey delivering the highest standards to our valued customers. With support to help you reach your potential, attractive company benefits and incredible employee offers on discounted cruises we want your career with us to be successful and fun. Join us on our journey, apply now.